This article is going to dive into how to make more money as a nurse. We’re going to give you a lot of options you can start looking into today, to start earning extra. (Disclosure: Some of the links on this site may be affiliate links. Even though nurses make an annual $70,000 (as an RN, $45,000 as an LPN and over $90,000 as an APRN), some of us could always use some extra money. The beautiful thing about our profession is there’s always something you can do to make more money as a nurse. Below are just a few of the ways you can start earning extra today. The options you pick to start earning extra money will depend on a couple of factors. Your skill sets will make a difference in what you’re going to do. For example, you’ll notice some of the options we give might involve writing. If you're not a strong writer you might decide to pick something else. You know the slogan time is money. Well, this is going to hold true for this list. 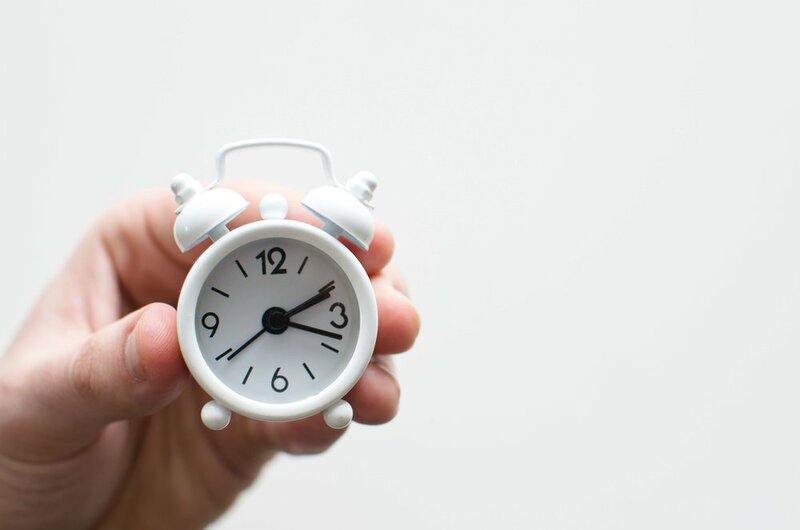 Some of the options we include with the highest earning potential can also be the ones requiring the most significant amount of time on your part. Maybe not indefinitely but at least initially. For example, some of the options we give involve getting an extra certification. It takes time to get those additional certifications. If that’s not feasible for you right now go ahead and skip that one and keep going. You have plenty of other options on this list to pick from. Level of Effort makes a difference. Some of the options require little effort, and some require a lot more effort to start earning extra. Keep that in mind as you scan through this list. You don't want to start investing time and energy on something only to realize you don’t want to put in that much effort. For example, one of the side-hustles we listed with the least amount of time needed to get going is picking up extra shifts with your current employer. Monetary Goals will guide your decision. Are you looking to add a couple thousand dollars a month? Or maybe just a few bucks? Either way, there are options on this list with those potentials. Keep in mind, there is no get rich quick without effort on this list. The ones with the highest earning potential on this list tend to require more time and effort on your part. Your Preferences are going to make a difference which avenue you decide on to earn more money. There are options listed you might have a skill set for and be easy for you that you'll want nothing to do with. For example, you might be an excellent writer, but it doesn’t necessarily mean you want to spend more time writing. The only one we didn't rate is preferences, but we’ll explain why shortly. To help you decide which option to try you’re going to rate your preference for each one. Your preference plus a combination of our ratings will help you decide which option you should try first. First, check out our breakdown of each way to make money as a nurse. Second, download your FREE copy of Make More Money as a Nurse Spreadsheet. Third, after downloading your copy of Make More Money as a Nurse Spreadsheet, you'll see that we have all the options listed on there for you in a condensed form. Fourth, go through and write a “0” for the options you don't have a skill set for, or you're not interested in acquiring the skill set. Fifth, go through and rate the preferences for the ones you have left based on this scale. What's cool about using the spreadsheet is you can order the list based on our ratings. When you're done rating your preferences, you can use it to order the list based on your preference order. In the excel spreadsheet after you have rated each option click on the drop-down arrow (next to each heading) for one of the headings, you want to order. Click on either sort smallest to largest or sort largest to smallest and excel will automatically sort your choices for you. When rating, it always helps if there’s something to compare it to. As a nurse, I know picking up shifts is almost always an option when it comes to making more money. For that reason, virtually all the other options we give will be compared to that. In other words how much more time, effort and money can I make doing ___________ compared to just picking up extra shifts at my job. It doesn’t take that much more effort or time to pick up extra shifts. Therefore it’s rated at a two because you’re going to make about the same plus over time if you’re working over 40 hours a week. In general, it’s just one of the easiest options. You’re almost to the list! Our ratings are of course based on our experiences. Because of that your experiences with time, level of effort and monetary potential for each one might vary. One of the quickest ways to start earning extra as a nurse is of course to pick up extra shifts. Working 40+ hours a week and getting that over-time can be very lucrative in many nursing fields. Your facility might even be one of those that offer incentives to get their nurses to work extra. I’ve either worked at a facility or have heard of facilities offer critical bonus such as $220 plus on top of your hourly pay just to come in. How to do this: Talk to your manager and see if over-time is available. Even when you don't think it's an option. I've seen nurses get approved to come in for overtime to help with chart audits. Be mindful about not working too much overtime to avoid nurse fatigue and nurse burnout. If you’re underpaid for your position and you enjoy the company that you work for, asking for a raise could be a great win-win for everybody. Keep in mind that there’s a right and a wrong way to do this and the conversation for an increase in pay starts long before you ever ask. Your nursing experience is, of course, a factor but so is your personal brand as a nurse and the qualities of a nurse that you have. In general, what you bring to the table. How to ask for a raise: Make sure you do your research. Find out the salary of nurses working in your area doing similar jobs. Finding out where your pay ranks among your peers will tell you if you’re underpaid or overpaid based on the market. Use that information to guide your next steps. Asking for a raise can be tricky. It’s a topic we plan to discuss more in depth in the future. I didn't realize that “per diem” was Latin for per day. Regardless per diems are a great way to earn some extra cash. Another way to look at this is getting a part-time nursing job working somewhere else. You can look at nursing job boards to see what's posted. You can also see if your current employer has a per diem slot available. If you don't need the benefits, you might be able to earn more going per diem with them. Do you work in a hospital system that pays less than the others? Do you work with difficult nurses? and difficult patients? If so you might want to apply to other nursing jobs and see what's available. How to do this? You can use sites like payscale.com to see what nurses in your area are making for jobs similar to yours or for jobs related to the new one you want to apply for. This way you can get a better idea where you are on that scale. Use those results to decide if you’re going to quit your current nursing job for another. There are a couple of things you want to keep in mind. Make sure to remain a hard worker till your last day on that job. Make sure to not bad mouth your old employer after starting your new nursing job. Even though I'm not, I know many of you are. If you’re artsy, crafty, like to bake or anything of that nature, there is a market for you. How do I get started? There are so many opportunities to make and sell things. Platforms like Etsy are a great avenue to start selling your homemade product. This could include nursing related products, or not! I have a buddy that buys and resells products full-time. Over the years I've met various people who do something like that. There is some learning curve to it, but it can be a great way for nurses to make a little extra money. How to get started buying and selling? There are several courses on the web that you can use to learn. From experience, this is one of the gigs you can be as involved or as dedicated as you want to be. There is an art to this, and the learning curve can be steep. The plus side to this is reselling products online is something that you can do leisurely and at your own time. Check out Amazon Services to figure out how to start selling today. Do your research and make sure to start slow. Have you ever wanted to be a nursepreneur? Honestly, I didn’t know what a nursepreneur was a couple of years ago, but it’s a big deal. Nurse + entrepreneur = nursepreneur. You’ll notice a pattern with a lot of the options that we give you. Many of them require a bit of some entrepreneurial spirit. I recently met a nurse who worked on the side as a nurse, but her full-time work was running her very own dessert shop. When she was first told me she was selling desserts, I thought it was a hobby. Little did I know it was a big deal and she had employees, her product was on the shelves of gift shops, and people had approached her about franchising. Do you have an idea you’ve wanted to start? How do I become a nursepreneur? A good start is to figure out what you have a passion for. Than how you can make money from that passion. After that, you will need to figure out a business plan and a course of action. Freelance writing gigs are becoming more prevalent. As a nurse, you have a specific set of skills and knowledge that most people don’t have. Combine that knowledge with an ability to write, and you can charge a premium for such work. It doesn't even have to be nurse or healthcare related. How do I get started writing? It helps if you have a portfolio built. You might try writing for free on some popular online blogs or platforms to build a portfolio and possibly a following. Afterwards, you can try some sites like Upworks, Peopleperhour, or Freelancer to market yourself. Starting your blog would also be a great way to build your portfolio and market your work. One way you can potentially earn some money and build up your writing portfolio is by starting a nursing blog. There are many topics that as nurses you would have the expertise to blog about. Honestly, who says it even has to be about nursing or healthcare? How do I become a nurse blogger? There are so many ways you could get started and a lot of different platforms you can use. Start by doing your research about what kind of blog you want and what your goals will be. Educate yourself on the technical side of things because some platforms are a lot easier to use than others. The easiest and quickest way to start is by using a free website platform like Blogger. Once you get the hang of it or decide you want to monetize your site, you can transfer to a paid site like Squarespace or WordPress. One of the quickest and easiest ways I've made money in the past is by using online survey sites. It's as simple as signing up for the survey site and receiving surveys to fill out. You will earn money/credit to later redeem as money depending on the survey site. How do I get started filling out surveys? To get started we have a couple of different survey sites you can sign up for. You can sign up for one or all of them. I’ve met so many people doing this that I considered it at one point when I was trying to make some extra money. Once you’re accepted, you can pick and choose when and where you want to accept clients. How do I start driving? Go to the Uber website and sign up to be a drive. Follow the directions and download the app. From what other people have told me it’s reasonably straightforward. A nurse staffing agency is an organization that helps hospitals and facilities find and hire qualified nurses. Who knows more about the qualities of a good nurse than another nurse. How do I start my own nurse staffing agency? Knowing what to look for in a future nurse hire is very different than setting up a business to do all of that. This requires a lot of research and setting up a quality business plan to execute and get it done. This is not an option you take unless you're in it for the long haul. This idea came to me from one of my previous coworkers. According to him, there's some good money that can be made doing lawn service if you know what you're doing. Investment can be minimal just depending on what level you want to take the business. How do I start my own lawn service? Make sure to do your research to learn more of the technical side of the business. For example, even if you’re a lawn care pro, you might not know how to bill for your time and service. You don't want to rip people off, but you also want to make sure that you're adequately compensated for your time. I remember a while back one of my nursing coworkers told me she was making extra money for the holidays by picking up work as an immunization nurse. She signed up with an agency. The agency than sends her a list of assignment openings, and she picks the ones she wants. She said she was making anywhere between $25-$40 an hour depending on the assignment. How to become a flu nurse: This is another great position that you can find either through a staffing agency or online job boards. Is there a nursing school that's in your area? If so, they could be looking for clinical instructors. Clinical instructor is a great way to mold future minds while making a reasonably competitive pay. How do I become a clinical instructor? You can check out nursing job boards to see what's been posted. When I was trying to figure out if I wanted to be a clinical instructor I looked up all the nursing schools in my area and called them. Better yet, if the nursing school you graduated from is near you give them a call and see if they have an opening. They would probably be very willing to have one of their former students come back as a clinical instructor. This is assuming you had a good reputation with them. This is another side hustle option that might even let you work from home. Much of the job is phone triage-related to medical situations. How do I get started as a call center nurse? Check out job boards and job listings to see what's available. Try checking out the job listings for one of the local healthcare companies to see if it's listed. I remember one of my nursing school professors said they did nurse consulting for a lawyer on the side. Of course, I did some extra digging and found out as a nurse consultant you provide medical expertise and opinion to lawyers and other legal professionals. How do I get started as a legal nurse consultant? Usually requires someone with several years of experience. The job description can vary greatly. Try calling a law firm that does health-related legal work like malpractice lawsuits to see if there is an opening. Or an option to work on an as needed basis. Who do you think helps insurance companies decide what insurance claims to accept or decline? It's typically healthcare professionals. Healthcare experience is typically ideal. How do I get started? Check out job boards and check the website of an insurance company to see if there are any openings. This one I can't take credit for. My cousin who's in medical school told me about this. As a medical transcriptionist, you listen to a physician's recording and write it out. There could also be some reviewing of medical documents as well. Honestly not a bad gig. It's an opportunity to get off the floor, preserve your back and if you're lucky you might be able to get one that lets you work from home. How do I become a medical transcriptionist: You have to become certified to be able to do the job. Afterwards job boards are a great way to look for jobs. As a medical coder, you are connecting provider diagnosis to a medical code for insurance reimbursement. How do I become a medical coder? Requires certification to start. This is another job that you might be able to land one that lets you work from home. There was a time when I considered doing home health nursing as a full-time job and again later as part-time. Home health nurses, as the name implies, are nurses who provide nursing care to patients in their home. There are both full-time and part-time opportunities for this job. Depending on your employer you might have the freedom to see your patients in a less structured manner. Different areas of Healthcare have opportunities for home health nursing. I was surprised to learn that there are home health nursing opportunities for psychiatric/behavioral health nurses. How do I become a home health nurse? A staffing agency or a job board is a good start. As nurses, we're taught CPR, and many of us are certified in First Aid, ACLS and so on. Have you ever thought about getting certified to be an instructor yourself for the class? How do I become a certified teacher? You have to be certified by one of the recognized certifying body. 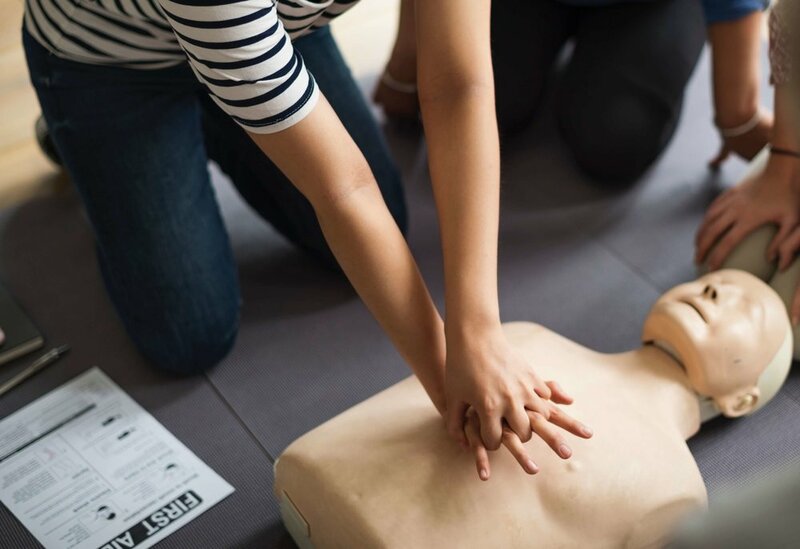 For example, if you wanted to teach basic life support, you would need to be certified by an organization like the American Heart Association. Talk about making more money as a nurse. I've met a lot of travel nurses over the years, and one of the top two reasons they start working as a travel nurse is because of the money. You can generally make more money travel nursing than you can being a staff nurse. Between the hourly pay, the non-taxed stipends and the travel reimbursements, you can make a lot of money traveling. How do I start travel nursing? To start travel nursing, you need to get in contact with a nurse travel agency. They usually are going to want you to have one to two years of experience in the specialty area you'll be traveling in. Getting an advanced degree can be a great way, in the long run, to make more money as a nurse. An advanced degree can benefit most nurses. From your licensed practical nurse (LPN) or licensed vocational nurse (LVN) to your associate prepared registered nurse (ADN). Even a bachelor's prepared registered nurse (BSN) can benefit from an advanced degree. How to get my advanced degree? First of all, figure out what kind of degree you want. Are you trying to become an advanced practice nurse? If so which specialty are you going to go to a nurse practitioner, nurse midwife, CRNA and so on? Once you figure that out, research and see what schools you wouldn't mind going to and apply. Where you live can have a significant effect on how much money you make as a nurse. Sometimes to make more money as a nurse can be as simple as moving. Moving to a different area in your state can have an effect, but for more drastic changes you might have to change states. How do I do this? You will need to research to see which state you are moving to and what are the salaries for the nurses. One of the things you need to make sure to keep in mind is the differences in cost of living. Some of the areas that pay the best can have a high cost of living. The cost of living could be so high it cancels any potential gains in increased pay. This is an extensive list and gives a lot of options based on what you’re looking for. Some of the options are easy to implement today, and some of them require a little bit more time and thought. There’s something different for everybody use our rating system and our downloadable spreadsheet to help you figure out how to make more money as a nurse. If you’re wanting to make more money because you’re having problems making ends meet it might be a budgeting problem. To help you with that check out our personal finance budgeting article for nurses How to Successfully Budget Your Money. Don't forget to get your spreadsheet. How are you making more money as a nurse that we might have missed?